Play for a share of the €7,500 prize pool! Mission tournaments are always great fun with players competing against each other for awesome prizes while spinning on some fantastic slots. Yggdrasil has done a marvelous job on how they are set up as players can follow their progress and see the leader board at the same time to check how they are doing against their competitors. To make it even better, they allow players to restart their missions to try for better results. This weekend tournament at Cherry Casino has a well sized prize pool and three entertaining missions to complete. Thor is rumbling his hammer across the sky and the powerful sea is showing its fury. From the winter darkness, big viking ships emerge carrying fierce Norsemen on another of their infamous raids for treasures. Now they need your help to find the chests where the treasures are hidden. Get ready for an exciting weekend tournament at Cherry Casino running until 23:59 CET on 3rd March 2019. Complete 3 missions in the fewest possible spins to place on the leader board. The TOP50 spinners at the end of the tournament will share the €7,500 prize pool. Minimum bet to take part in the race is €0.70 per spin. All players who play during the promotional period will be issued with a unique ID number. Everyone can improve their score throughout the promotional period by restarting their missions after minimum 25 spins, however, their best score will be kept. The leader board is updated every 60 seconds showing the TOP30 only. Prizes are credited as bonus with a 5x wagering requirement with the standard bet and game restrictions as well as wagering contributions. 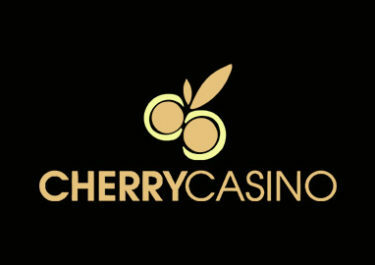 Cherry Casino Bonus Terms and Conditions apply. Launched as early as 2000, the casino is operated by the acclaimed Play Cherry Ltd. under licenses from Curacao, MGA Malta and the UK Gambling Commission. A large games are offered on desktop, mobile and tablet from Netent, Big Time Gaming, Blueprint Gaming, Fuga Gaming, Gamomat, Kalamba Games, Microgaming, Amaya, Quickspin, Relax Gaming, StakeLogic, STHLM Gaming, Yggdrasil and Play’n Go. The LIVE Casino tables are provided by Netent Live. A good range of currencies and payment methods such as Visa, Master Card, Instant Banking, Neteller, Skrill, Paysafe Card, Trustly and Bank Transfer ensure fast and secure withdrawals. The website is available in English, German, Finnish, Norwegian and Swedish languages and customer support provided 24/7 via Email, Live Chat and Phone. Cherry Casino – Ready, Set….Bloom!